Play Fruits'n Sevens deluxe online for free now! 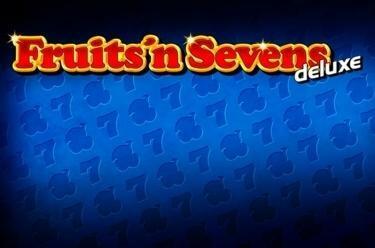 Fruitsʼn Sevens deluxe is a classic fruit slot with 5 reels on 5 pay lines. The 7 symbol scores the highest winnings. Your aim in Fruitsʼn Sevens deluxe is to line up 5 identical winning symbols on one of the win lines. These start on the first reel to the left and run across the reel set to the right. The 7 is a sure winner: When it appears 5 times on one of the lines your player account will overflow with Twists from the jackpot! If you have staked the maximum bet you win the entire jackpot; if you have bet less you receive the relevant share of the jackpot amount. A textbook example of a classic fruit slot: Here you find cherries, melons, oranges and ... hang on, what are the apple and the kiwi doing here? 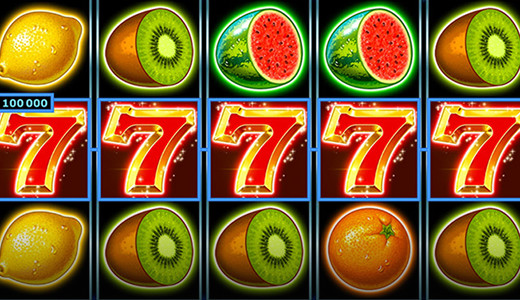 Fruitsʼn Sevens deluxe is not quite like other slots after all. And this slot has another ace up his sleeve: If you manage to land 5 7-symbols on one of the 5 pay lines the progressive jackpot is yours! Never let it be said that fruit slots are boring!